B = Chilcomb military firing ranges and UFO hot spot. C = Humanoid in Winchester city center. D = Police Sergeant witness three beings. E = Colin Andrews home where he heard the strange voice on TV. To enlarge area around A,B and C click map. Winchester 1978. Copyright Ian Stevens. 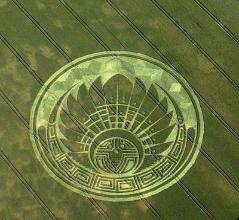 The first crop circle 'Pictogram' ever to appear. center of Winchester City, England. SPECIAL AND UNIQUE AREA OF SOUTHERN ENGLAND. individual. Certainly he has much to lose in coming forward and little perceived gain. 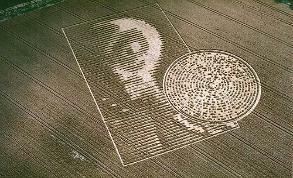 Winchester where Councillor Hicks saw the alien described in the video shown below. 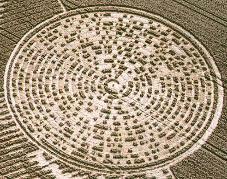 of UFO’s and crop circles. the site and also from my presentations 'forthwith'. This has been done. Dedications to Pat and Paul can be seen on my site. exploded outwards into adjacent counties and then around the world. is now posted on the Internet again after You Tube removed it from their site. top secret projects like the MAJESTIC group via his position in local government. updates on the next page. A new important eye witness, a policeman, reports a 9 feet tall 'Spaceman' same night. Payne, a farm worker on Longwood Estate, who owns this land. did say "We are leaving now leaving your plane of existence". 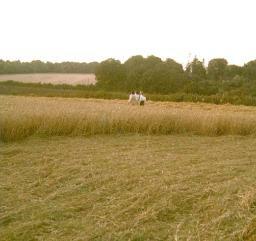 ground area that soon became the focus of enhanced crop circle activity. accomplished) - thank to Lindy Tucker for this additional data). Colin Andrews re-investigates 33 years on. thank you. Updates will be added as they are ready - next page. GOOD out there. We OPpose DECEPTION. Conduit CLOSING (BELL SOUND)". arena and state their truths, it could make the difference. - Colin Andrews, 11th October 2009.
updates page will keep you informed. The Crabwood ET Face is the second face seen in this excellent short movie. story. Putting the pieces together we get a 'message'. 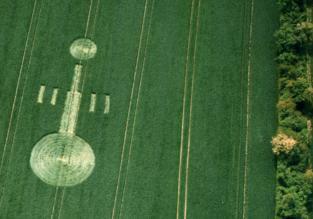 Here are two more cases of alien voice transmissions. Thanks to Ian Halling U.K.